25 years, 25 green buildings. See them all here. Photo courtesy of Phipps Conservatory and Botanical Gardens. It was 25 years ago that a small group of local environmentalists and engineers received funding from The Heinz Endowments to create the first nonprofit in the country to focus exclusively on greening a region’s commercial building sector. 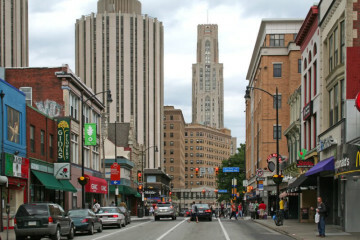 At one point, Pittsburgh was number one in the country for the number of square feet of green building. This week, Pittsburgh’s Green Building Alliance (GBA) celebrated its silver anniversary at the Emerald Evening Fundraising gala, an annual event to recognize local construction projects that emphasize green, sustainable design. This year’s ceremony was especially auspicious. For a quarter of a century, the GBA has provided advocacy, networking resources and technical support to hundreds of construction and rehabilitation projects across the state. Children’s Hospital of Pittsburgh of UPMC: The hospital where every patient gets their own room, and the window cleaners dress like Spider-Man also happens to be a “green campus.” The complex includes one LEED-certified and one LEED Silver building, and building materials used at Children’s included recycled, post-consumer structural steel. David L. Lawrence Convention Center: You’ve no doubt noticed this building‘s iconic, curving roof held aloft by steel suspension cables in order to evoke the nearby bridges on the Allegheny River. But beyond its beauty, the building has also earned Gold and Platinum LEED certifications. It includes a wastewater reclamation plant and a natural ventilation system. Frick Environmental Center: The visitor center of Frick Park is completely carbon neutral and draws all of its electricity and heat from the sun and earth. Earlier this year, the Center earned “living building” status. Greater Pittsburgh Community Food Bank: The first food bank in the U.S. to receive a LEED certification. 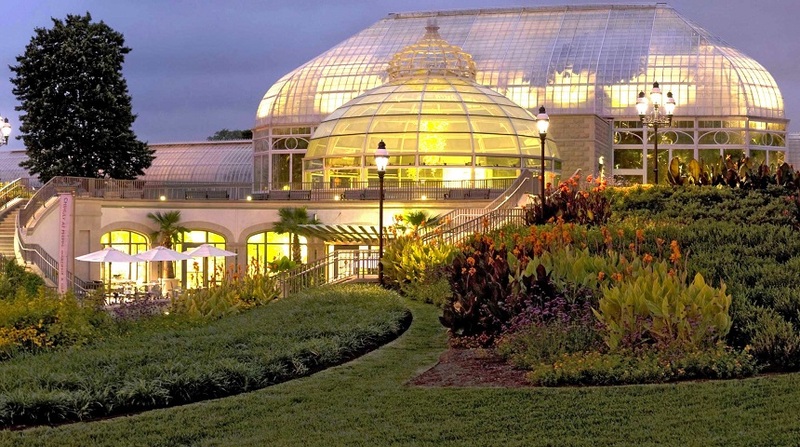 Phipps Conservatory and Botanical Gardens: The Center for Sustainable Landscapes at Phipps has the rare distinction of functioning as a “living building.” It generates all of its own energy and treats all storm and sanitary water captured on-site. Read more about this remarkable building here. University of Pittsburgh’s McGowan Institute for Regenerative Medicine: Perhaps the most sci-fi space on the list, researchers at the McGowan Institute are making stunning strides in the field of artificial organs within this green building. In 2005, Pitt announced that this was the first university building in Pennsylvania to earn LEED Gold status.